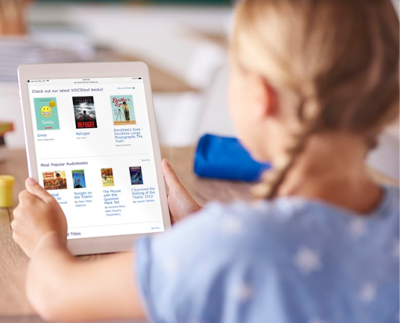 With Learning Ally’s new features in the audiobook reading app, educators can now more easily integrate audiobooks into classroom curriculum and assignments. Now students can create and share notes allowing them to complete assignments and email teachers directly from the app. Writing Summaries - Teachers can assign students to summarize what they’ve read after specific parts of the story and have students email those summaries back to be graded. Designing Book Reports - Students can note their reflections, mark specific places to go back to including character names and key vocabulary words and then email all those notes to themselves to have a detailed outline perfect for finishing up a book report. Citing Evidence - Students can note each time they notice, for example, figurative language within a chapter and email all those instances directly to their teacher. Teachers can then evaluate the student’s written note about why that particular part of the story was indeed figurative language. Interpreting & Describing - Teachers can assign a section of reading and ask students to describe a character and email their interpretations back to the teacher about why the character responded in a specific way. Completing Research Papers - Students can mark each area they want to quote within a book and email their findings to easily and quickly prep for writing research papers. Mark all the vocabulary words assigned to them and easily study each word’s meaning. Easily look up words to improve their comprehension of grade-level assignments. Use the Learning Ally reading app to manage their workload alongside their peers. Now, they can gain even more time back as they look up words directly within the app. Having the power and the choice to select your own font size, the space between the letters and lines, or the text color-just to name a few options-maximizes the student’s reading experience and allows them to discover and advocate for what is necessary for them to learn best. Have fun with colors! Change the highlighting color to a favorite sports team motivates students to read more and builds on their love of reading and foundation for learning. Adjust the spacing and sizes for increased reading stamina to discover and advocate for a personalized reading experience where students learn best. When students decode below grade level, adjusting the speed of the reader helps them complete an entire novel on time. This allows them to engage in discourse with the rest of the class. Learning Ally’s reading app is available for students with Learning Ally accounts on computers, phones and tablets. Educators can use the app in many ways based on their classroom and instructional environment. View the strategies by device tips to get more ideas. Explore all of the ways you can use Learning Ally’s NEW features to make classroom assignments and projects a breeze so your struggling readers can thrive. Share ideas with us on Twitter and tag @Learning_Ally. To learn more about how your school or district can support struggling readers with the Learning Ally solution, join a demo or call 800-221-1098 today!